We just went to sapa for some days, and this are our tips for getting the cheapest train. The best way to go to Lao Cai (en then to sapa) is with a sleeper train. There are 5 trains riding at night. You will find a lot of tourist trains like king express, orient express, etc but actually these are just compartiments of the same train, owned by tourist companies. 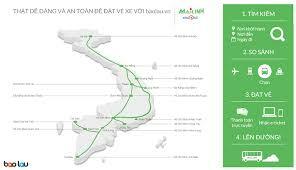 The website of the vietnam railways (http://dsvn.vn, and not :https://vietnam-railway.com/ ) is only available in vietnamese, so the easiest way to book tickets is via a contact person in Vietnam who will book the tickets for you. We have been using baolau.vn and the service was really great. We booked and paid online, one day later we got a mail with voucher from vietnam railways itself. The only addional costs are 40.000 dong processing fee. (2$) At the station in Hanoi, we showed the voucher at the ticket counter and got the psysical tickets (without anything to pay).